Yrvind can send short text messages. Below some snapshots that arrived today. 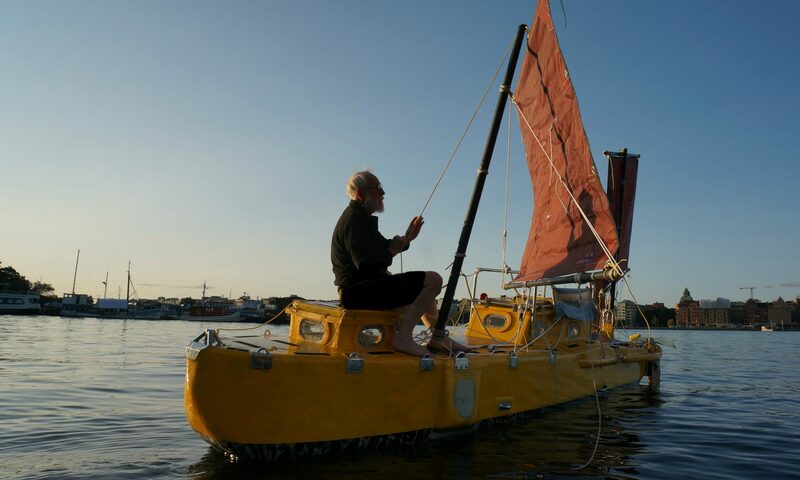 Exlex is an experiment and Yrvind is testing some of his boat design ideas. Part of the navigation he manages with ipads. He also has Wikipedia in six languages down loaded on them. Now put one the ohter front sail. Strange, self-stering works fine with just one sail. Completely unbalanced. A set of preventants from where the front edge of the boom is pulling backwards. Finnish solar cells Naps on the middle deck are coroding. Blows well, maybe 10 m / s. Has taken down the sail at the back. Just one sail up. Best to be careful. The ropes I steer the boat from the bed with and the new winch invention work great except on the port side where the ropes and power cables are in blissful mess. Also spoon bow is a succe. The lifts go so well in the waves. Quite a breakthrough. Now I have also got a lot of crawling to get the wool socks on, they start to heat well. Been fishing boats out of Ireland. Starting now getting into traffic Eng Channel – America AIS picks them up a long distance 30-50 miles and provides CPA. Very cramped and rank. The fore cabin full of stuff, so I handle the sail and the boat center board from the deck. Will be difficult balance. Right now strong northern wind. Going like a spear. She rolls very much down wind. Depends on the weight. Better on Next Design. It’s cold and gray weather. Exceptional course stability. Really good with ipad. Great with Wikipedia & Navionics. Working at Next Design. It has shrunk to 6.8×1.12×0.2 deep. The haul is a happiness hit. That I can haul the sail both at the masts and at the back of the hatch works great. Good to be tested for the next design.